In today’s technology-driven world we often find ourselves constantly switched on and connected. Jobs requiring 24-7 availability place higher demands on employees and instill higher expectations in employers. The average adult over 18 years of age spent over 11 hours a day on digital devices in the first quarter of 2017 (Nielsen Total Audience Report, Q1 2017). A “Digital Detox” is a self-care approach that rebalances time spent on digital devices. It is not as daunting as it sounds and can be achieved in small steps, for example, start out by switching your cell-phone to airplane mode to cut down on distractions and aid concentration and similarly, agree with team members to turn off cell-phones during meetings. 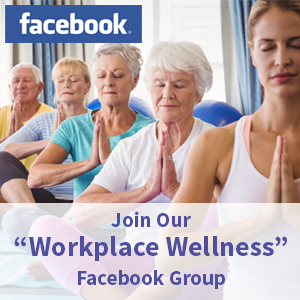 When incorporated as a daily practice, modifying our usage and reliance on digital devices can promote health and wellbeing, reduce stress, enhance employee relationships and lead to a healthier working environment. Problem: I find constant texts and emails breaking my concentration and interrupting my workflow. What can I do to reduce distractions? Solution: Assign designated times to focus just on clearing emails and messages 2-3x/day. Start the first hour of your workday getting projects off to a start rather than being sucked into your inbox. Rationale: This accumulated unproductive time could be used to take a walk, meet a deadline earlier, or help you leave on time at the end of your day. Problem: During team projects, I often find myself inundated with lengthy group e-mail and text message exchanges that take a lot of time to review and respond. How could my team and I collaborate more efficiently? Solution: Meet face to face! One 10-minute group brainstorming session with everyone in a conference room or joining virtually by video conference can get ideas, a group consensus and final decisions made faster than 4 hours of individual prolonged exchanges. Rationale: Use technology as an aid to improve productivity and not detract from it. Added bonus, bringing the team together as a group helps build stronger team dynamics. Problem: I often multi-task while juggling multiple projects and sometimes feel overwhelmed and struggle to give everything my full attention. How can I better organize my work? Solution: Prioritizing one task at a time will help focus your concentration. Only have the file or document you are working on open on your desk or computer to help reduce mental clutter. Assign sufficient time onto your schedule to dedicate to specific projects then move on. Rationale: We have grown accustomed to believing we should be working on several things at once and that “busy is best,” but our brains function better and retain more given the chance to focus more intentionally. Problem: Some of my work seems to waste time with repetitive reporting and e-mails. How can I avoid duplicating my efforts? Solution: Create pre-scripted emails and report templates for topics and tasks that you are routinely assigned to save time. The partially formatted document will only require tailoring and editing when due. Rationale: Creating templates provides consistency in formatting and saves time so you can focus on other important tasks that need your attention. Problem: My computer work is causing neck pain, eyestrain and fatigue. What can I do to feel better? Solution: Take mini-breaks! Every 20 minutes, shift your eye focus to something in the distance for 20 seconds. Every 1-2 hours, take a 10-minute break to refresh yourself and get your body moving! Do some stretches, take a walk, climb some stairs or even dance. Problem: My work involves sitting for hours and I often feel lethargic as the day goes on. I know I need to move more but how can I fit exercise in around my work assignments? Solution: Hold a walking meeting. 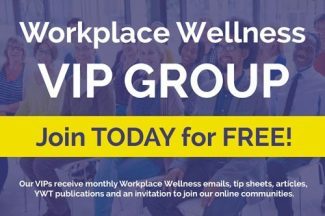 Check your employee wellness program for exercise facilities and potential classes you can attend or work a walk into your lunch break. Schedule these as appointments with yourself on your calendar to protect that time & investment in your health. Rationale: The positive effects of regular activity on your own physical & psychological wellbeing will benefit you as an individual and secondarily will reflect on your level of engagement and productivity at work. Problem: Work follows me home into my evenings and weekends. How can I create a better boundary between my work and home life? Solution: Communicate your goals with your colleagues to engage support – staff meetings are good forums. What are the expectations to work? Are they real or perceived? Develop guidelines, e.g. responding in a crisis is acceptable but routine items wait to return to work on Monday. Use “out of office” response on emails to let people know you aren’t available at that time. Organize a “Departmental Digital Detox Weekend” where everyone agrees to unplug from work for the weekend. If some coverage is needed, schedule a designated “On Call” person to handle issues that arise. Rationale: Setting clear boundaries and expectations will decrease guilt or anxiety about disconnecting yourself on your time off. It also assists in restructuring a new workflow pattern and gaining acceptance and recognition of those limits from colleagues. Problem: I work in a fast-paced complex corporate environment and struggle to relax and unwind when I get home in the evening or on weekends. How can I learn to de-stress? Solution: Plan healthy activities with friends and family for your evenings and weekends and give them equal or higher priority as work. Get outside into nature, try new sports or hobbies, or visit new places. Sleep in, read a book, go to a concert or out to dinner. Above all…Have fun! Rationale: We often feel guilty about relaxing and recharging when there are “things to do!” but we shouldn’t. It is an essential step to release stress that builds up during the week. Laughter, social connections, time outside in nature, learning new things, and physical activity are all components of a building a healthier lifestyle. Problem: My team members say I come across as unapproachable and abrupt in my e-mails although that is not my intention. How can I improve my communications? Solution: Start e-mails with an appropriate salutation/greeting and the recipient’s name (e.g. “Dear All” or “Hi Bob”) to help build rapport with the recipient from the start before they move into the body of the text. If the information is complex or difficult in content, let the recipient know you are available and happy to discuss further if anything is not clearly understood. End messages politely (e.g. “kind regards” or “respectfully”) and adding this into your pre-formatted email signature can save time. Don’t forget to also send emails acknowledging work well done or thanking staff for exceptional work. Rationale: It is easy to misinterpret the tone of an e-mail so incorporating politeness and personal acknowledgements into the message can soften any negativity particularly with difficult content. As with the spoken word, negative e-mails can influence employees more strongly if they are not balanced with positive communications. Problem: During team meetings my co-workers often multi-task and split their attention with work on cell phones and laptops. How can I improve participant engagement during these meetings? Solution: Be respectful of employee’s time and other work commitments. Send out materials to review ahead of time so meetings are kept for discussion and decisions. If topics are not pertinent or high priority to all team members, permission to submit comments for the discussion and review the post-meeting summary may be appreciated and allow more efficient use of their expertise. Stay on agenda, make the meeting interactive and ensure everyone’s voice is heard. Request phones and laptops to be turned off or not brought to meetings if the matter needs the team’s undivided attention. Rationale: We have slipped into the use of digital devices as see multi-tasking and digital communication as normal and acceptable in many situations. However, if two colleagues were holding a verbal conversation or working together on a paper and pen project while someone was presenting during a meeting, it would be considered rude, inattentive, and disruptive. 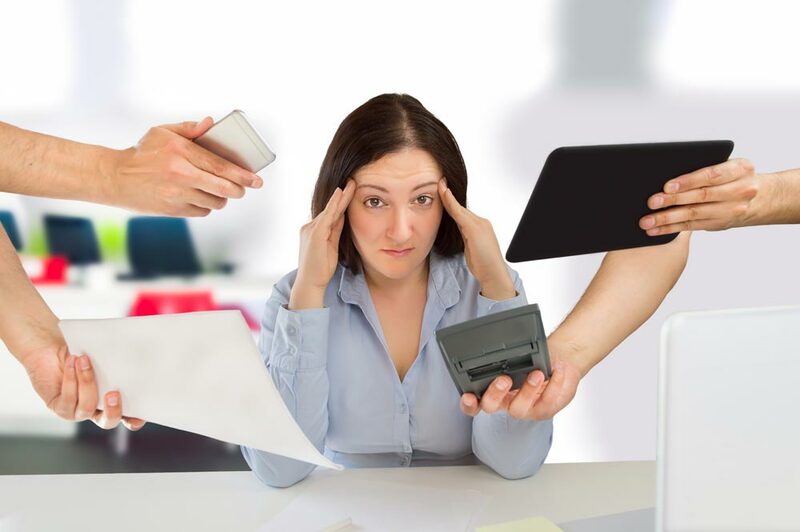 The need to multi-task and work through the meeting could also be a sign that an employee is feeling overwhelmed with their work assignments so team leaders need to determine the reason for the behavior and support staff with prioritizing, time-management, and productivity skills.